The Premier Pet™ Meal & Treat Dispensing Dog Toy keeps your dog entertained by slowing releasing treats or kibble. 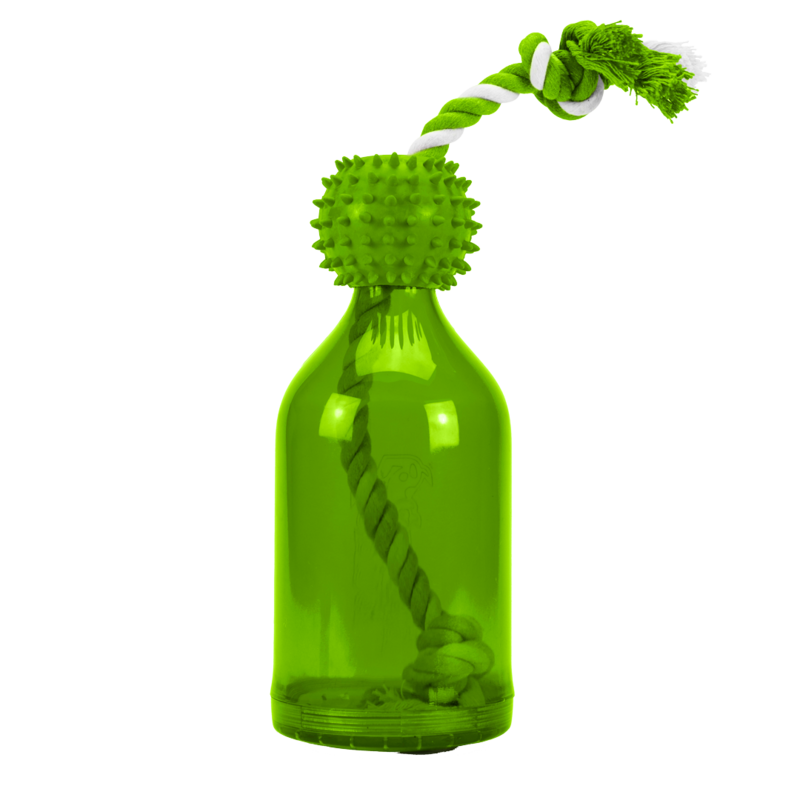 Simply fill this durable, bottle shaped toy by unscrewing the bottom lid, inserting small treats or kibble and screwing the lid back on. The treats fall out as your dog interacts with the toy to provide long lasting playtime, or use it to dispense meals to encourage your dog to be active and eat slower, helping with weight management. If the rope is chewed through, a golf ball can be placed in the bottle to slow treats from falling out. Whether the toy is used to dispense treats, slow down meal time or for a game of fetch, it will keep your pet engaged and boredom free.